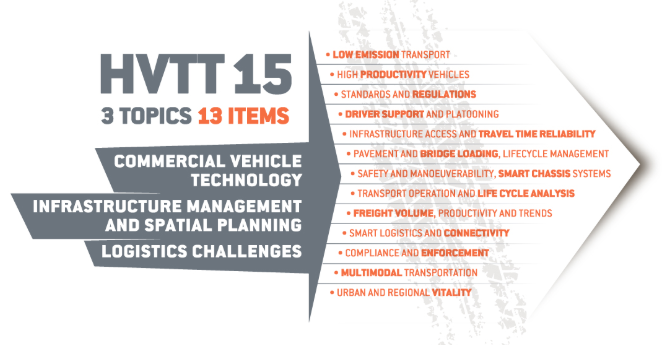 ORCA will be presented at the International Symposium on Heavy Vehicles Transport Technology (HVTT) on 4 October, 2018 in Rotterdam, the Netherlands. The HVTT will take place on 2-5 October and its programme comprises 3 plenary sessions, 24 parallel sessions, 2 young talent sessions, 8 side events and a technical visit. On 4 October, in the parallel session on “Electrification and hybridization” from 14:00 to 15:40 the ORCA project results will be presented by Steven Wilkins (TNO). On 4 October, prior to the public presentation, the ORCA Advisory Board will meet and discuss the project developments. The meeting is open to invitees only. 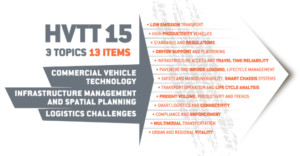 Find more information on the HVTT15 and check out the programme.